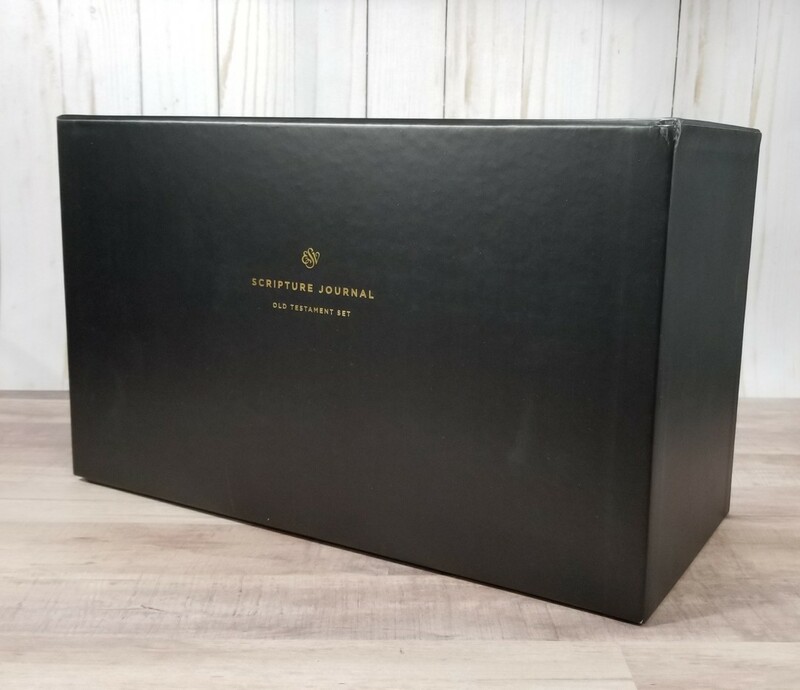 The ESV Scripture Journal: 27-Volume Old Testament Boxed Set presents each biblical book individually which the text on one side of the page and lines on the other to give the reader space for writing. 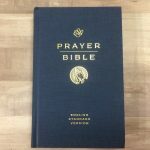 Each book is available to purchase individually, and the Old and New Testaments are available in boxed sets. 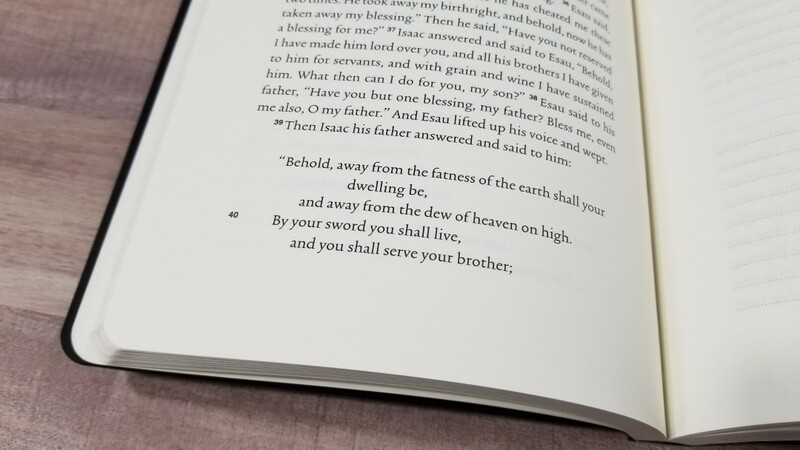 It uses the 2016 ESV text. I’ve previously reviewed the New Tesatement Set. Now I’m taking a look at the Old Testament boxed set, ISBN 9781433565182, which provides the Old Testament in 27 books with a case. It was printed in China. 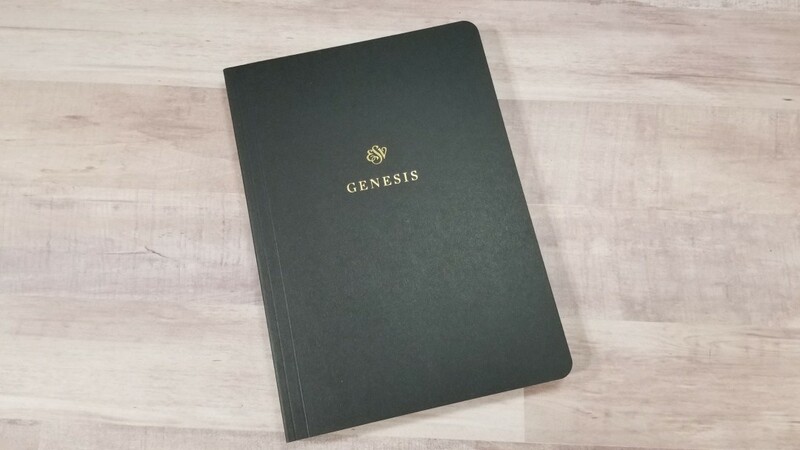 Crossway provided this Journal Set in exchange for an honest review. I was not required to give a positive review. My opinions are my own. 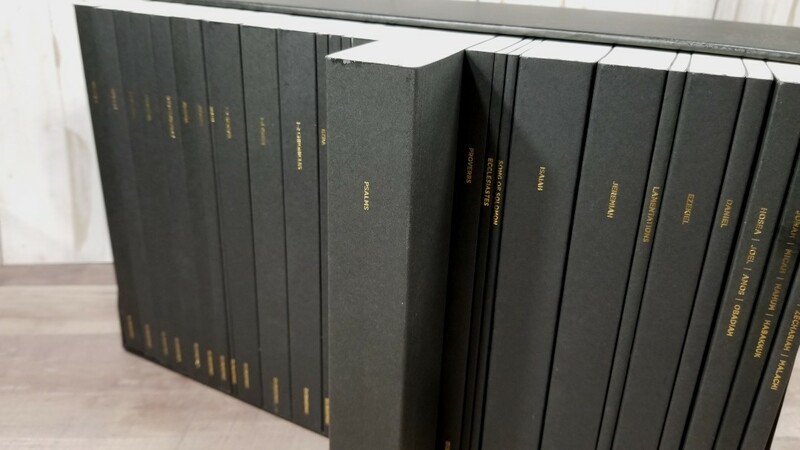 Each of the books has a thick black paper cover with gold foil stamped on the front and spine. The front includes ESV and the name of the book, and the spine shows the name of the book and the Crossway logo. The books are sewn and glued into the covers. 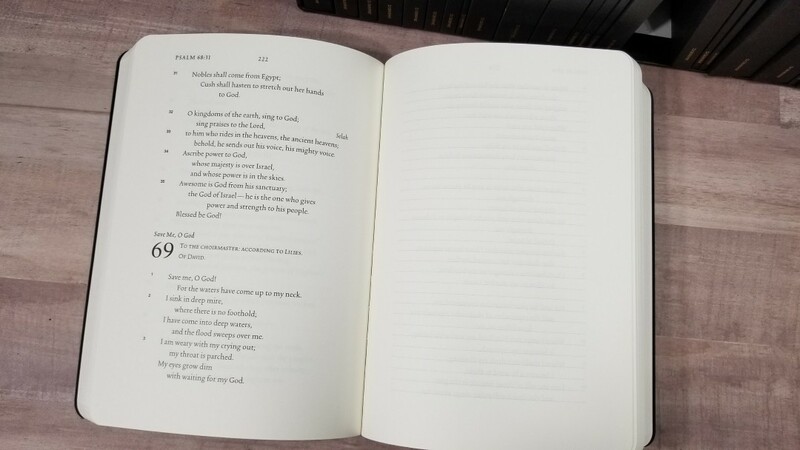 The overall size of each book is 8” x 5.75”, with thicknesses ranging from just under 1/8″ (Ruth) to 1 1/4″ (Psalms). The paper is very thick and exceptionally opaque. It’s much thicker than a standard journaling Bible. It’s as thick or thicker than most novels. It’s cream in color, but it’s not the yellow that found in the ESV Journal Bible. It has no glare under direct light, so it’s perfect for using at a desk or reading under a reading light. They have several lined pages in the back for notes. This paper is excellent for writing. I’m using a pencil in this example, but I think any pencils, pens, or markers you’d use in a journal would work great. The case is thick black cardboard. It has gold foil stamping that matches the books. The cover box includes the title and logo on the front and specs on the back printed in gold. The case has the title and logo on the sides, which are slanted to help make it easier to remove the books from the case. The case is wide but it’s still sturdy. I love how it looks on the shelf. 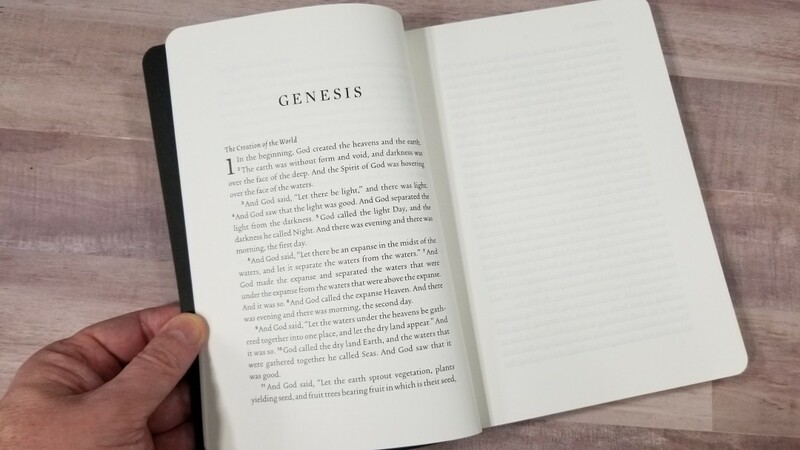 Like the New Testament Set, the books are not on a track, so you can order them any way you want. It especially looks good sitting next to the New Testament Set. The spines are easy to read. 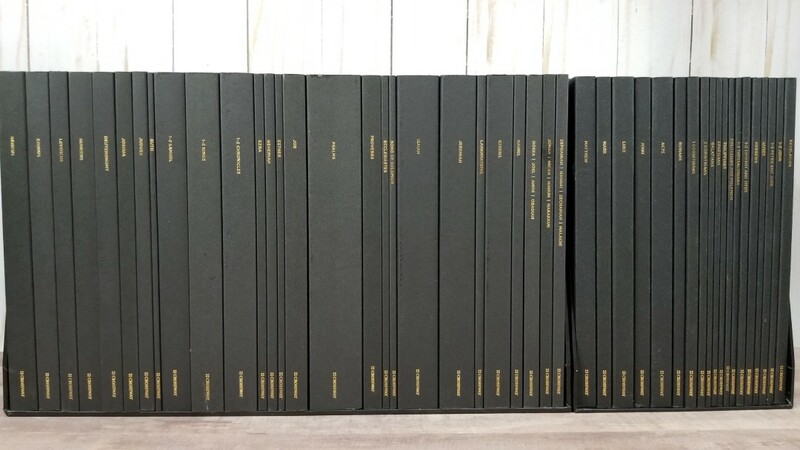 The overall size of the set is 13.75″″ wide, 6.25″ deep, and 8.25″ high. The text is presented in a single column paragraph layout and it’s placed on the left page. 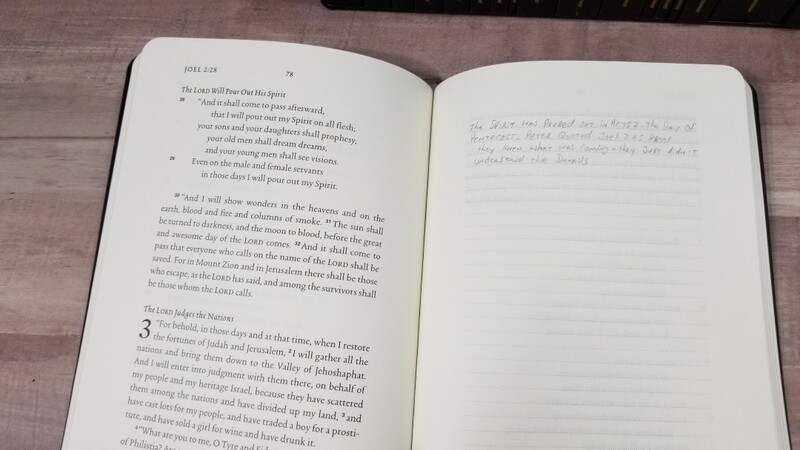 The header includes the book name, chapter number, and verse numbers in the outer margin, and the page number in the center. 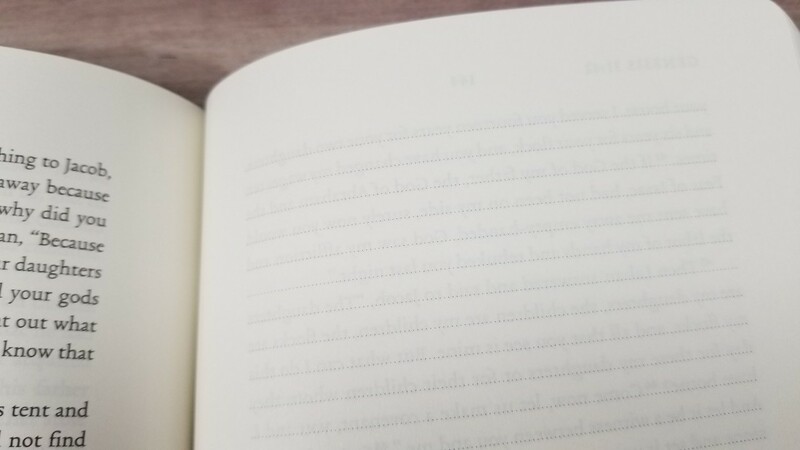 The right page has dotted lines for notes. It has an inch of space in the inner, outer, and bottom margins around the text. The typeface is 11.75. It’s a dark black letter that has excellent contrast with the paper. I find it to be easy to read for long periods of time. This is a text-only set, so it doesn’t include references or footnotes, but it does include section headings. Verse numbers are bold superscript. I found the verse numbers to be both easy to find when I needed them and easy to ignore when I didn’t need them. It has an average of around 12 words per line and 30 lines of text. 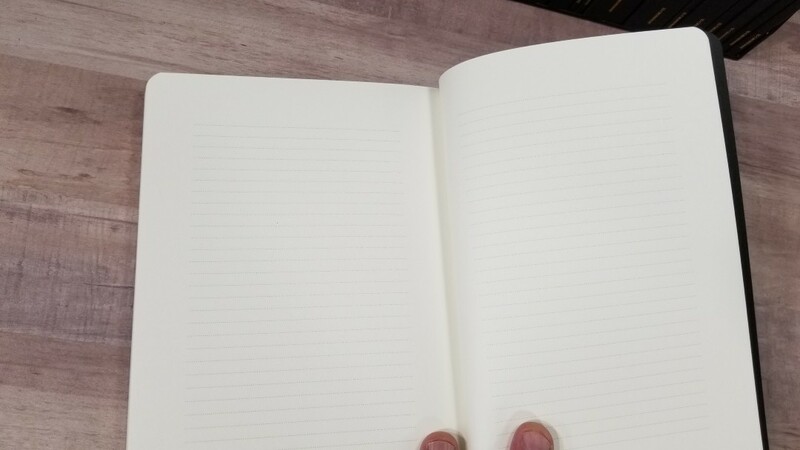 The pages for notes have 30 blank lines. The lines are light enough to ignore but dark enough to be helpful. 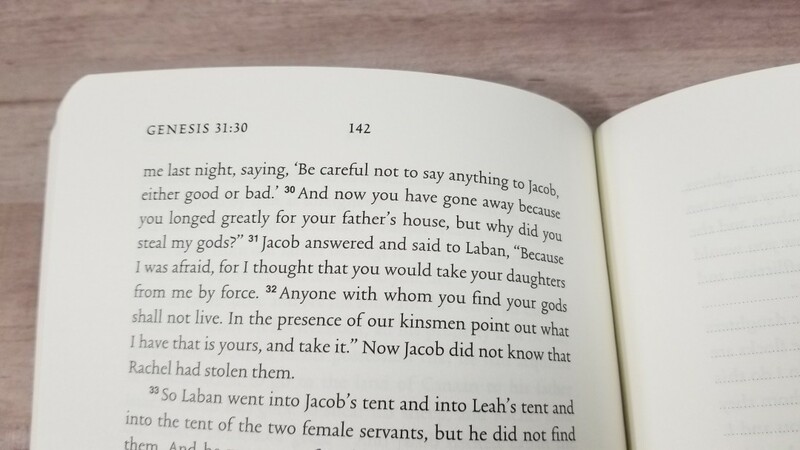 I think the text is line-matched but it’s difficult to see the other side of the page so I don’t think it would matter either way. 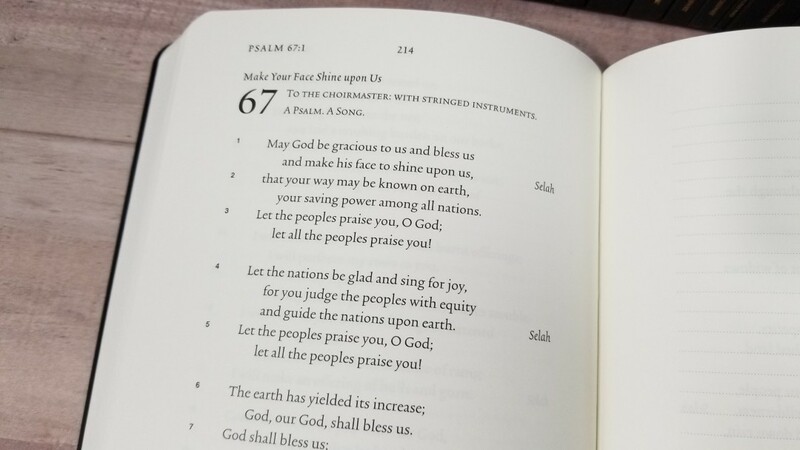 Each book includes the shortened version of the ESV Preface. It combines the minor prophets into three volumes, while other small books (like Ruth) have their own book. 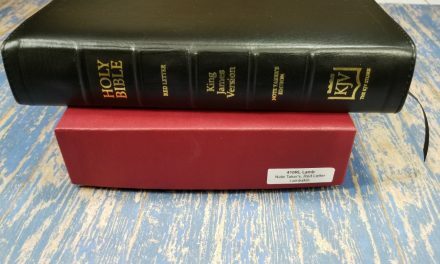 Unlike the New Testament, which combines two books out of our standard order, the books are combined in their normal order (at least for British/US publishers). 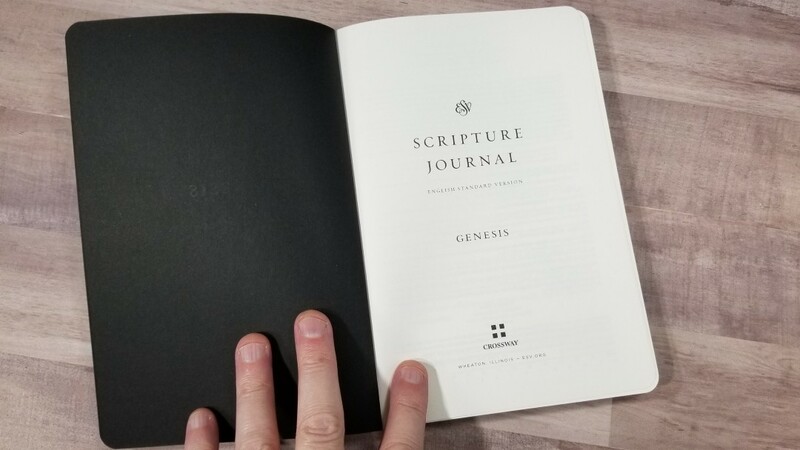 I love this ESV Scripture Journal set in both the Old and New Testaments. 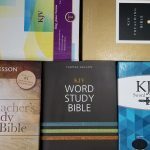 Now that I have a complete set I plan to go through the entire Bible page by page and add thoughts, prayers, devotions, references, and maybe even do a little bit of drawing. They’re great for any of the marking methods (such as my super easy inductive method, which will be updated soon). You can buy them as a set, or you can buy them individually so you can get what you need when you need it. The individual books easy to use and study from (or, in). I even like reading them. I like being able to grab the specific books I want to use. They’re small enough to carry in a Bible case, briefcase, planner or notebook holder, travel case, or backpack. 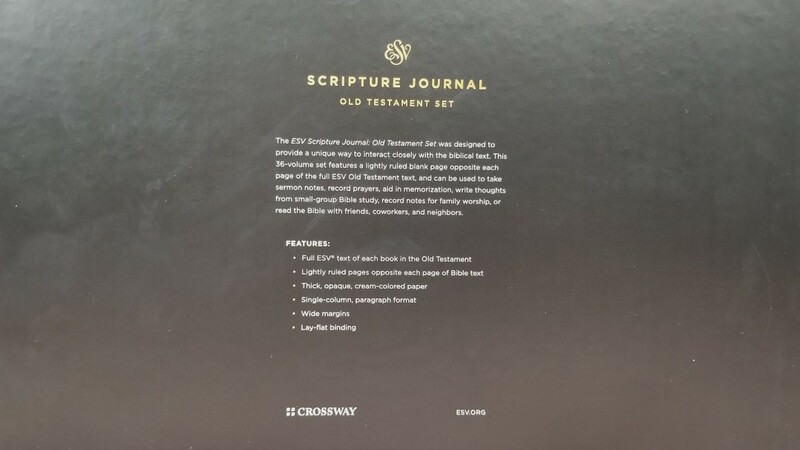 The ESV Scripture Journal: 27-Volume Old Testament Boxed Set is great for personal study, reading on the go, group study, etc. 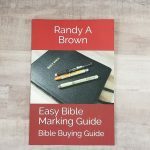 They’re also great for preaching or teaching if you’re using one book because of the blank page for every page of text. 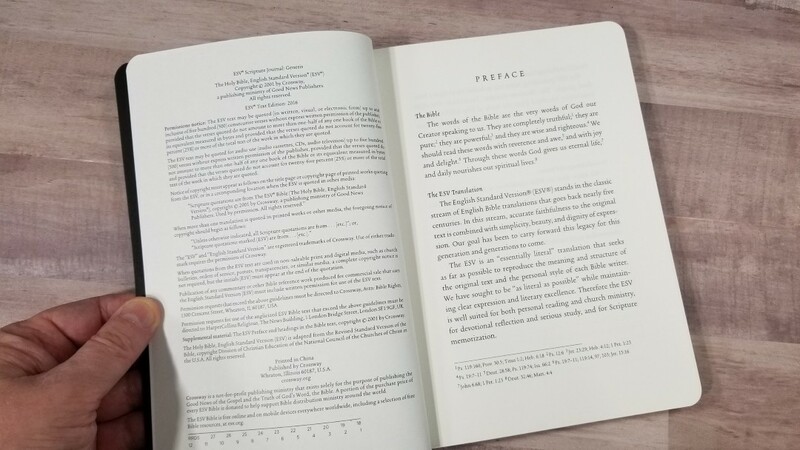 I highly recommend Crossway’s ESV Scripture Journal in both the Old Testament and New Testament sets. Great review again – thanks! 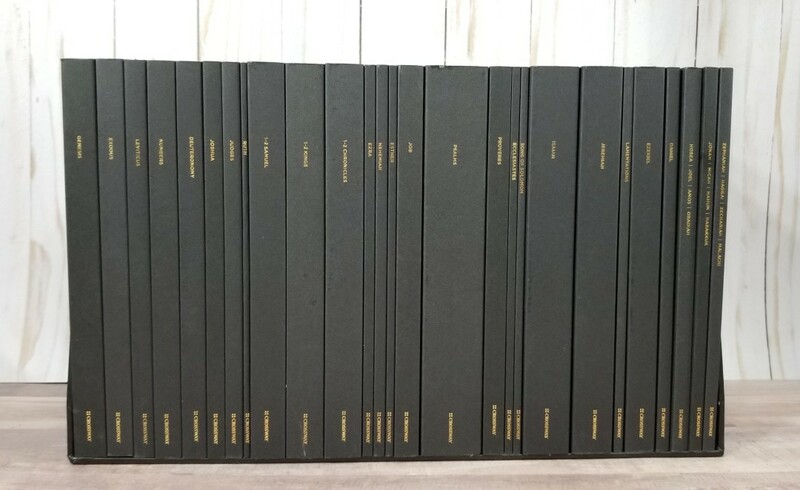 But could you just confirm that the individual books in the set do indeed lay flat once opened, as claimed by the publisher. If that’s not the case, then writing extended notes on the blank pages might be a bit of a challenge. Thanks! They will lay open, but I had to be rough with them at first. Even then they don’t stay open perfectly. I don’t find them difficult to use though. Any comment on using these as a left-hand writer? Does the volume lay flat enough when you have to put your hand and arm across the two pages? Hi Jim. My son is left-handed. I’ll have him try it and see what he thinks. 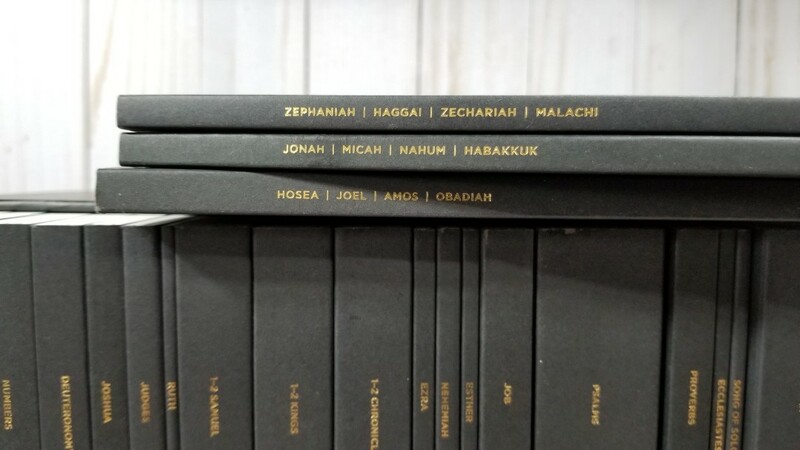 I bought a set which arrived last week, but I’m afraid I’m very disappointed with it because none of the books will lie flat, despite Crossway’s claim that they do. 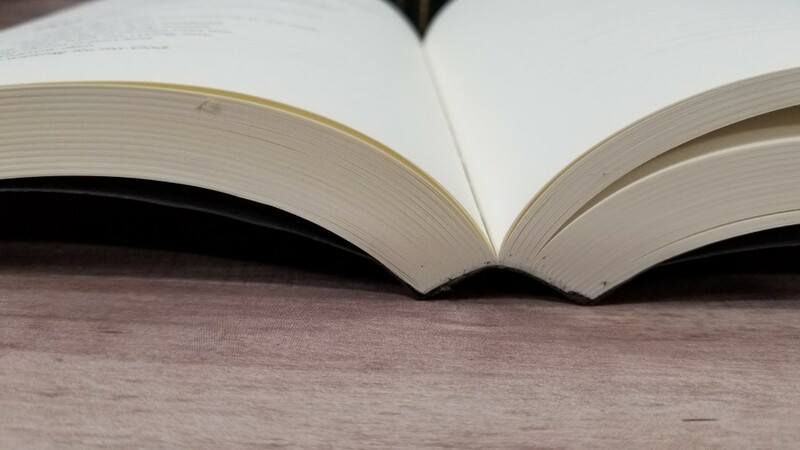 It’s like the spine is made of elastic that is constantly trying to spring the book back into its closed state, making it impossible to write extended notes comfortably. Not fit for purpose, I would say.